In this paper, a field test of wake-steering control is presented. In the campaign, an array of turbines within an operating commercial offshore wind farm have the normal yaw controller modified to implement wake steering according to a yaw control strategy. Results indicate that, within the certainty afforded by the data, the wake-steering controller was successful in increasing power capture. Trailing edge flaps applied to the outer part of a wind turbine rotor blade are a very promising concept to reduce fatigue loads as they are able to increase or decrease the airfoil lift for a given angle of attack. They have been widely researched on 2-D airfoils, but only little is known about their aerodynamic characteristics on 3-D wind turbine rotor blades. The present article addresses this issue. 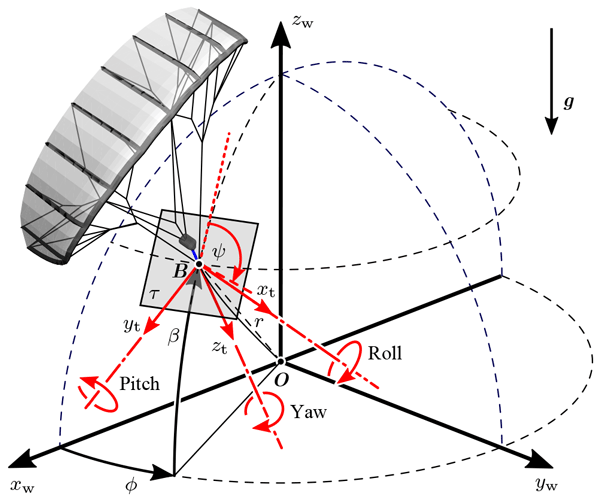 We present an experimental method for aerodynamic characterization of flexible membrane kites by in situ measurement of the relative flow, while performing complex flight maneuvers. We find that the aerodynamics of this type of wing depend not only on the angle of attack, but also on the level of aerodynamic loading and the aeroelastic deformation. We recommend using the relative power setting of the kite as a secondary influencing parameter. Rain erosion on wind turbine blades is a severe challenge for wind energy today. It causes significant losses in power production, and large sums are spent on inspection and repair. Blade life can be extended, power production increased and maintenance costs reduced by rotor speed reduction at extreme precipitation events. 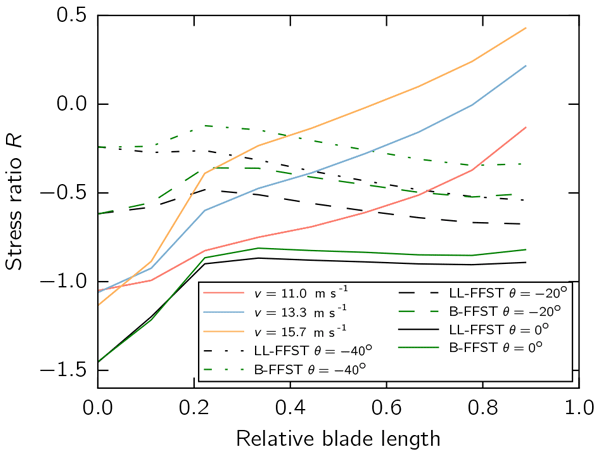 Combining erosion test results, meteorological data and models of blade performance, we show that a turbine control strategy is a promising new weapon against blade erosion. Efficient detection of wind turbines operating below their expected power output and immediate corrections help maximize asset value. 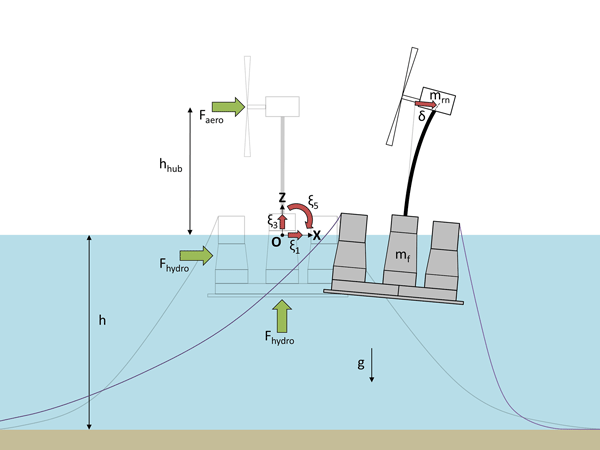 The method presented estimates the environmental conditions from turbine states and uses pre-calculated power lookup tables from a numeric wake model to predict the expected power output. Deviations between the expected and the measured power output are an indication of underperformance. A demonstration of the method's ability to detect underperformance is given. 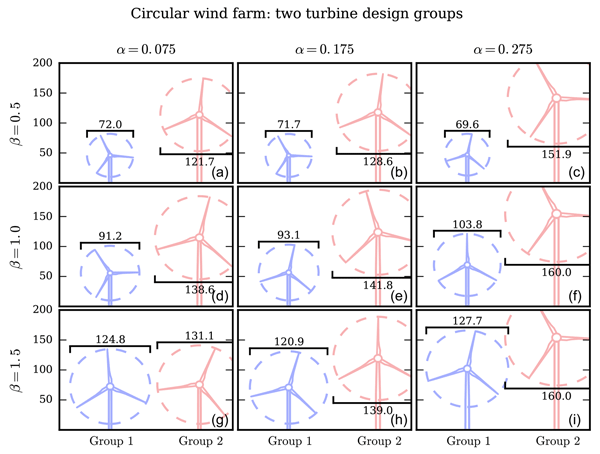 In this study we aimed to use the spinner anemometer calibration and nacelle transfer function determined on a reference wind turbine to assess the power performance of a second, identical turbine. An experiment was set up with a met mast and spinner anemometer on each turbine. For each wind turbine, the nacelle power curve agreed with the corresponding power curve within 0.10 % of AEP for the reference wind turbine and within 0.38 % for the second wind turbine, for a mean wind speed of 8 m s−1. Brief communication: Structural monitoring for lifetime extension of offshore wind monopiles: can strain measurements at one level tell us everything? The first larger offshore wind farms are reaching a mature age. Operators have to take actions for monitoring now in order to have accurate knowledge on structural reserves later. This knowledge is important to make decisions on lifetime extension. Many offshore wind turbines have one set of strain gauges already installed at the transition piece. 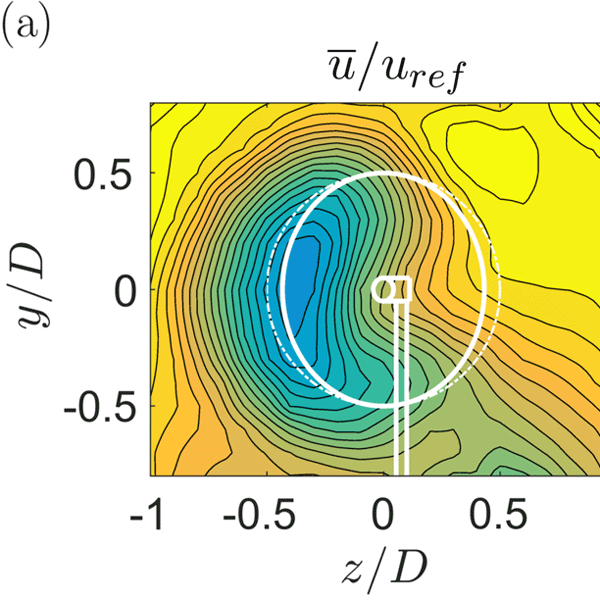 We present a simple and robust method to extrapolate these measurements to other locations of the monopile without need of additional instrumentation. This paper presents a validation and code-to-code verification of the U.S. Dept of Energy/NREL wind turbine aeroelastic code, FAST v8, on a 2.3 MW wind turbine. Model validation is critical to any model-based research and development activity, and validation efforts on large turbines, as the current one, are extremely rare, mainly due to the scale. This paper, which was a collaboration between NREL and Siemens Wind Power, successfully demonstrates and validates the capabilities of FAST. The aim of this paper is to show that with an automated tuning strategy, wind turbine control performance can be significantly increased. To this end, iterative feedback tuning (IFT) is applied to two different turbine controllers. 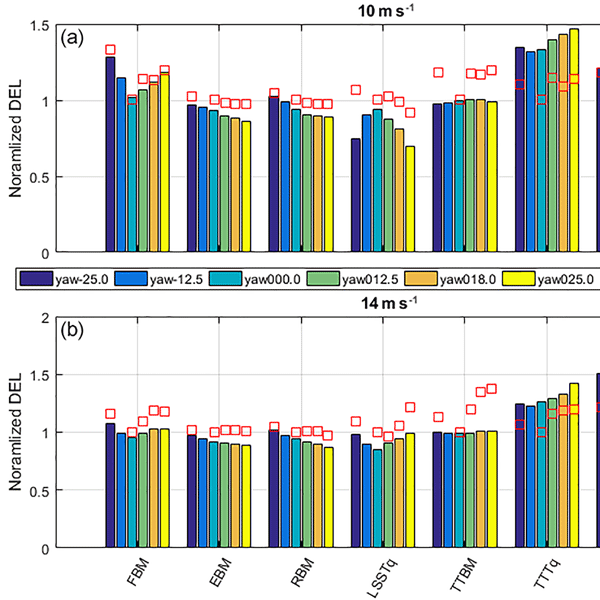 The results obtained by high-fidelity simulations indicate significant performance improvements over baseline controllers. It is concluded that IFT of turbine controllers has the potential to become a valuable tool for improving wind turbine performance. As wind turbines extract energy from the wind, a wind field of reduced wind speed and increased turbulence is left behind for the downstream turbines. 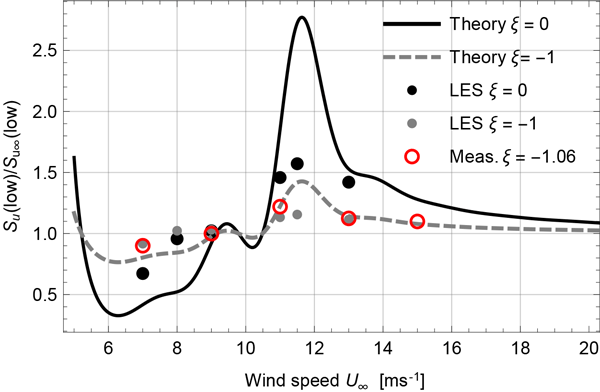 For the exact calculation of the annual energy production and lifetime of wind turbines, it is therefore of great importance to be able to accurately calculate this turbulent wake flow for different wind conditions. 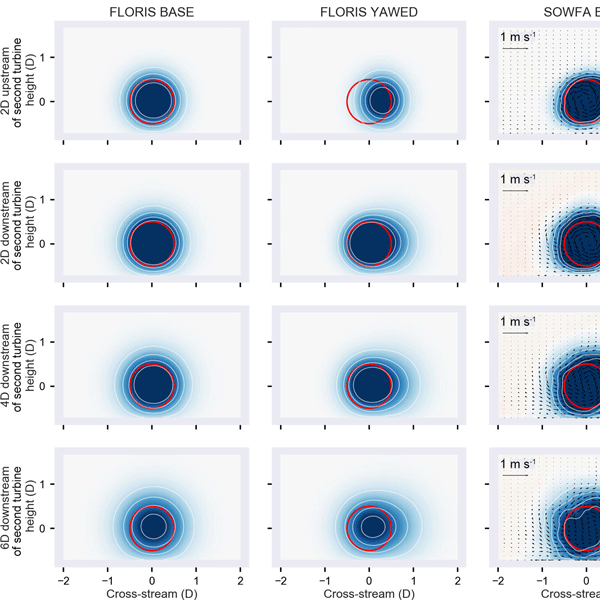 This paper compares different computational modeling approaches with flow measurements on model turbines in a wind tunnel. The certification process of a wind turbine requires simulations of a coupled structural and aerodynamic wind turbine model in many different external conditions. Due to the large number of load cases, the complexity of the aerodynamics models has to be limited. 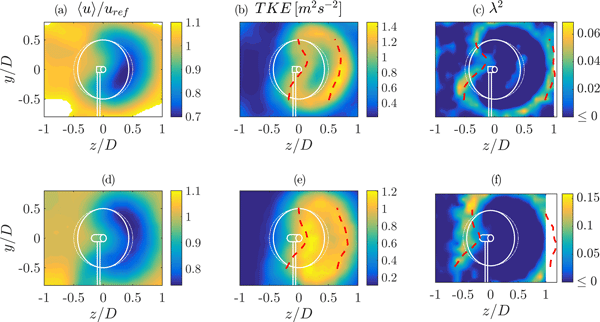 In this paper, a simplified vortex method based aerodynamics model is described. It is shown that this model, which is fast enough for use in a certification context, can produce results similar to those of a more complex vortex model. The industry standard for analysis of monopile foundations is inaccurate, and alternative models for foundation behavior are needed. This study investigates how four different soil-foundation models affect the fatigue damage of an offshore wind turbine with a monopile foundation. Stiffness and damping properties have a noticeable effect, in particular for idling cases. 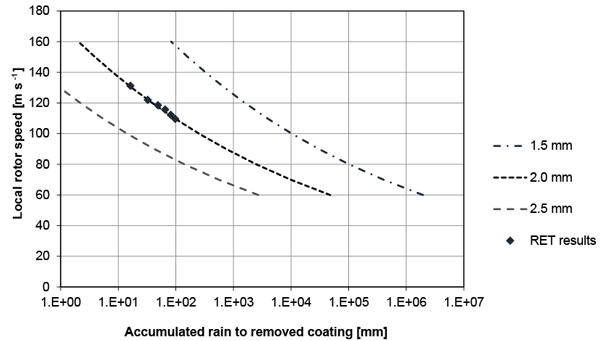 At mud-line, accumulated fatigue damage varied up to 22 % depending on the foundation model used. 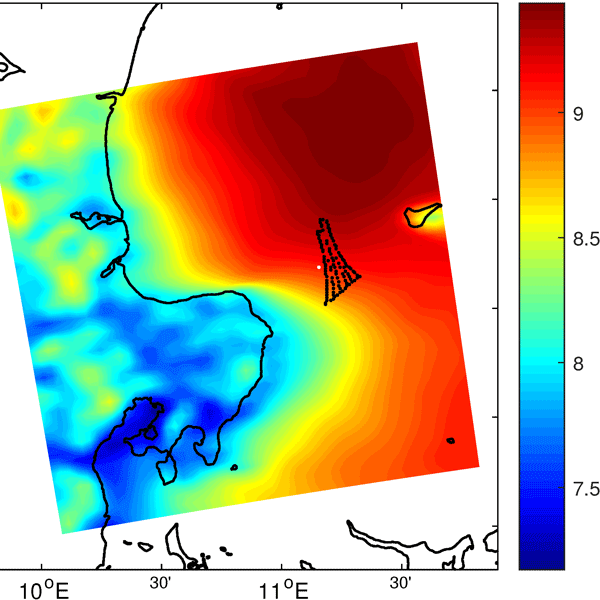 This paper presents a simplified numerical model to quickly predict motion and loads of floating offshore wind turbines. Hydrodynamic, aerodynamic and mooring loads are extracted from higher-fidelity numerical tools. Without calibration, the model can predict with good accuracy the motions of the system in real wind and wave conditions. Loads at the tower base are estimated with errors between 0.2 % and 11.3 %. The model can simulate between 1300 and 2700 times faster than real time.